At 5:30 on Tuesday another crowd settled in to a University of Wisconsin – Madison lecture hall for the final forum to foster public discourse on the state’s booming frac sand industry. This time, it wasn’t about Wisconsin’s sand, or who’s coming in to the state to mine it. This last forum, facilitated by the Nelson Institute for Environmental Studies, focused on what the state’s sand is helping to produce, cheap natural gas, and what that means for future energy consumption and associated climatic impacts. 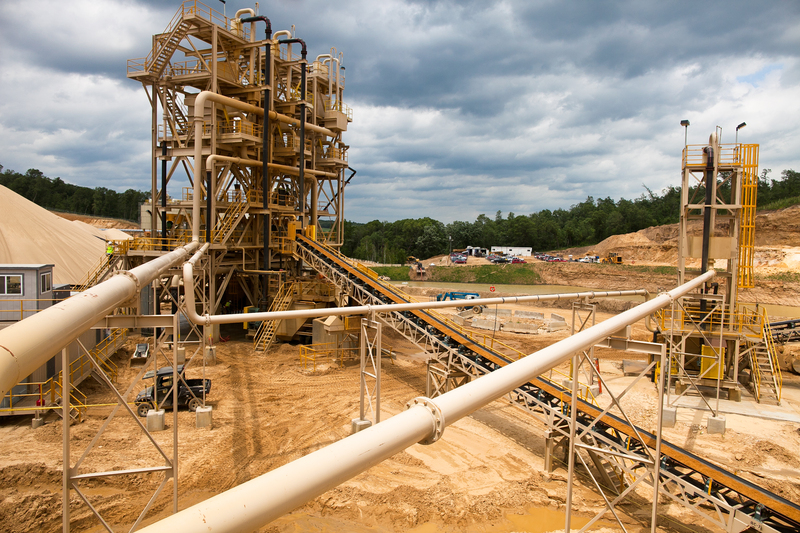 Frickity frac: what is sand mining’s impact? At the second of three forums on frac sand mining organized by the University of Wisconsin – Madison’s Nelson Institute, four interesting voices stood before another packed lecture hall. There was a representative of sand mining companies, an investigative journalist, a sociologist, and a groundwater specialist. Each voice added context to the conversation Wisconsin is having as major energy companies move into the state. 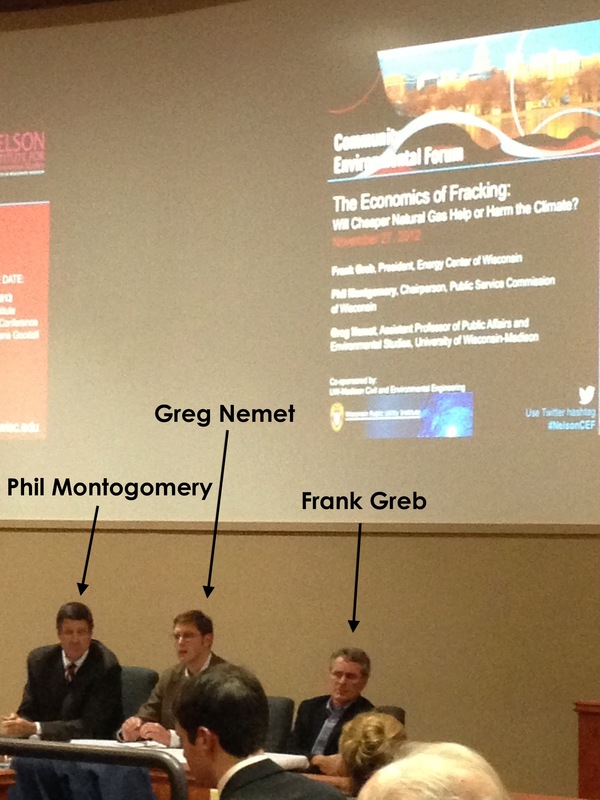 The Nelson Institute’s first forum two weeks ago, focused on why energy companies have pulled Wisconsin into the hydraulic fracturing industry: the vast amounts of a particular type of sand (frac sand) needed for fracking. This second forum sought to elucidate some of the impacts the state’s new industrial connections may have. Why the frack is Wisconsin in the energy game? Wisconsin is suddenly a player in the national energy game. No, America’s dairyland doesn’t have newly discovered deposits of coal, oil, or natural gas. No, it’s not a leader in wind or solar power. Rather, Wisconsin is a valuable source of….sand. Yes, sand. The specific type of sand needed for hydraulic fracturing, or fracking. Wisconsin is in the middle of a sand rush because of increased use of the fracking method to extract natural gas. Given the state’s role as a sand supplier, there is a three-part public information series on hydraulic fracturing for Wisconsinites. The Nelson Institute for Environmental Studies is hosting the forums in Madison, they are live-streamed online and archived so that people all over the state and country can tune in. The first session was this evening and it aimed to help Wisconsinites understand what fracking is and why it’s happening and also to address the role western Wisconsin is suddenly playing in this round of the national energy game. In a sentence, hydraulic fracturing is a process that breaks up shale deep underground in order to access a trapped, dispersed deposits of natural gas. Sand is key to that process and I am going to discuss how Wisconsin came to claim ownership of most the sand frackers want to use, called frac sand. For more on fracking itself, see the Wisconsin Center for Investigative Journalism’s short explainer piece, or, for way more than that, check out Propublica’s fracking series.